These new checkout51 offers will go live at 12:00 AM on Thursday, 03/05 and expire at 11:59 PM on Wednesday, 03/11. Members must buy the products in the United States and submit the receipts while the offers are live. Glade® Jar Candles, Any variety. Glade® Wax Melts Refills, Any variety. Glade® PlugIns® Scented Oil Refill, Any variety. Purchase of single refills must appear on the same receipt. Glade® Wax Melts Warmer, Any variety. 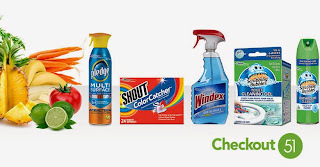 Glade® Automatic Spray Starter Kit, Any variety. Excludes Glade® Sense & Spray Starter Kits. Glade® Automatic Spray Refill or Sense & Spray Twin Refills, Any variety. Excludes Glade® Sense & Spray Single Refills. Purchase of Twin Refills must appear on the same receipt.